Some of these people are my friends, some I have worked with in the past and some are just links I have traded or added because I believe they may be useful. However, appearing here does not mean I endorse or recommend these companies in any way shape or form, so if you wish to use any of these services please carry out your own checks before committing to anything. If you wish to appear in this list, please complete the form on this page. Hypnosis HQ: categorized resource directory for everything about hypnosis. Andrew T. AustinClinical Hypnotherapist and NeurolinguistChichester, West Sussex. GlobalHypnosis.com – Powerful Self-hypnosis Audio Products! We offer hypnosis services and hypnotist training. Jenks, Oklahoma is near Tulsa. 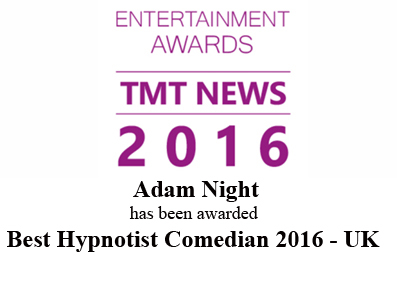 http://www.hiphypnotist.co.za/ Voted as South Africa’s funniest stage hypnotist show. ULTIMATE CHAOS – Perfect comedy entertainment for Weddings, Birthday Parties and Corporate events. The Comedy Waiters and Comedy Spoof Security Guards are a perfect start to any event. For more information about the Comedy Actors and the services they provide, please visit or call the Ultimate Chaos NOW!